What if we think about money the way God thinks about money? God intends for us to grow spiritually as we make financial decisions (Romans 12:2). This can actually be one of the most effective means of drawing close to God and glorifying God. Money is just one outward sign of an inward relationship with God. It's used as a means of keeping score in our society and this reflects on our relationship with God. Stewardship is not about being guilted into giving or coerced in some way into giving. The goal is to pray, to converse with God and come to a decision about what is the right amount to give on an annual basis. Once we come to a decision about how much to give, we may need to get help in changing our money habits, creating a budget, or learning how to give in a Godly way, with joy and thanksgiving. To make disciples of Jesus Christ for the transformation of our community and the world, connecting through arts, music, and discipleship. Your annual, monthly or weekly pledge will help make this possible through the programs, outreach, mission and service of the church. Thank you for giving. 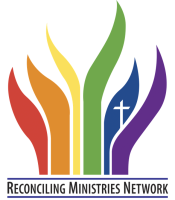 Please complete the form below to make a stewardship pledge to Hapeville First United Methodist Church.